I have enjoyed reading many of your articles and programs. I have just started my law enforcement career with a department in Hawaii, and I find my training lacking. You are completely right about the way academy's train recruits. That being said I have a long history in lifting. I have been training since I was in the sixth grade, but I now find it hard to train as I once did. I still workout 4 to 5 days a week. I love running and strength training, and I know it is a strange combo. I still have most of my strength but would like to transition to the types of programs you describe. In addition, my cardio usually consist of running a total of 10 to 15 miles a week. I am looking for programs as you described like the one in the Copland article. I am having trouble finding more information on workout programs of this type. I would greatly appreciate your help with the type of program I need to not only perform my job to the best of my abilities, but feel better as well. My Answer: Hey Matt, thanks for the interest in my programs. 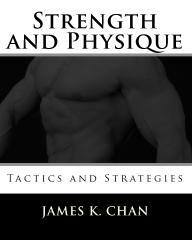 I get a lot of inquiries into my Copland article and a lot of questions on how to train for tactical fitness, or more specifically strength and conditioning for law enforcement. I have an insider perspective on this, because I started off as a personal trainer and then became a cop. So I have a background in strength training, and I know all too well the physical demands of law enforcement. Not very many people have a background in both fields. This is not to say that a qualified personal trainer can't get you fit, but most people have no idea how much microtrauma is incurred when you have to wear 40 pounds of equipment everyday. Most trainers work with old people, women or athletes. But training for those populations is different from training LEO's. A police officer has to be ready to physically perform, but the moment he has to perform could come without warning. You can train an athlete to peak at a particular points in year. You can plan for performance. For LEO's you cannot. This means you got to train your body to be strong, stable and mobile. Up to this point I've written primarily about physique training. 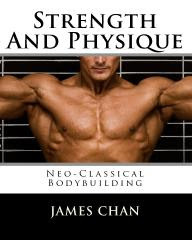 I'm currently putting the finishing touches a fifth book, which showcases an eclectic mix of bodybuilding exercises. 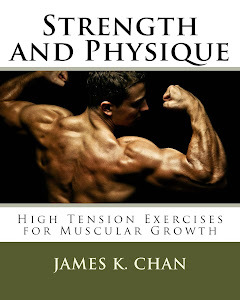 I'm going to take break, and then I plan to write a book specifically on how to strength train for law enforcement. I'm going to talk about the different physical demands of different phases of one's law enforcement career: applying for law enforcement, academy, patrol, specialized units. 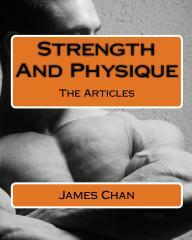 It will be a while before this LE strength training book comes out, but I will keep you guys posted. I've been doing your program for 8 weeks, and I feel much stronger than pretty much any other program I've ever done. But I have a question regarding how long to rest between exercises. Also wondering if I should deload in between programs. Should I start a short cardio session during my workout week, assuming I have proper nutrition and 48-72 hours rest? Any advice and help is much appreciated. I'm getting out of the hole I've been in because of my body type and the lack of knowledge is a huge deal to me. I'm very focused on this and anything you can offer would be awesome. My Answer: Yes you should deload. You've been on the 10-8-6-15 program for 8 weeks, so deload with a 5x5 program. Rest 2-3 minutes between sets. Short cardio sessions are fine.